Fall in love with the mystery and glamour of Florence while receiving Exclusive Complimentary Perks when booking your stay at Hotel Helvetia & Bristol across WhataHotel!. 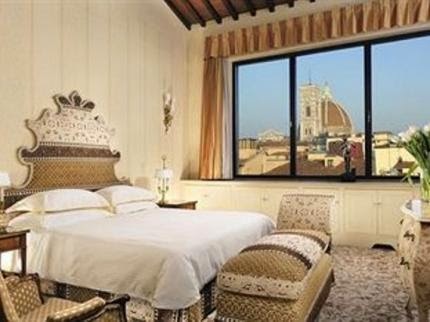 This recently restored hotel is located in the heart of magnificent Florence and boasts antique furnishings, an elegant atmosphere and a fantastic staff. Both Florence and Hotel Helvetia & Bristol are a beautiful combination of old and new and are sure to delight all that visit. Hotel Helvetia & Bristol was built back in 1894 and is situated in a locale perfect for walking to prime landmarks as well as exclusive shopping areas. Featuring 52 rooms and 15 suites with silks and brocades, authentic art and all the necessary modern technologies, this chic hotel has everything guests require for an excellent and luxurious stay. Hotel Helvetia & Bristol also presents guests with a charming Winter Garden complete with climbing ivy and a fountain that promises to be a great place to spend a restful afternoon. While the food in Italy is not to be missed, the restaurant and bar at Hotel Helvetia & Bristol will also please. The old-world elegance and intimate feel of the restaurant spaces is almost as delightful as the tempting food and drink served. Italy has long been a favorite travel destination and the city of Florence is a must see sight. The Duomo, Piazza della Repubblica and Ponte Vecchio are just a few spots that beg to be experienced and enjoyed. 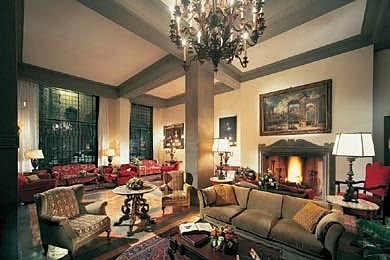 Discover this truly extraordinary city while staying in a hotel filled with opulent surrounding and pristine service. When booking your travel to Italy across WhataHotel!, guests can savor Exclusive Complimentary Perks for an unbeatable deal. These perks include available upgrades at check-in, a buffet breakfast for two daily, a lunch for two, a welcome fruit plate and options for an early check-in and late check-out. Hotel Helvetia & Bristol is not only one of the Best Hotels in Florence, it is also an integral part of the rich and vibrant history of Florence.